The European Union has blacklisted 17 countries and territories as part of a crackdown on tax havens. South Korea, Barbados, Saint Lucia, Bahrain, Panama and the United Arab Emirates are among the countries named Tuesday as "non-cooperative jurisdictions for tax purposes." The EU said they face potential punitive measures related to "foreign policy, economic relations and development cooperation." The penalties could include special documentation requirements and withholding tax measures. EU states have also been told to conduct audits and monitor transactions with these countries. The blacklisted countries are accused of behaving like tax havens. That means they promote unfair tax practices, or don't share important financial information with the EU. Dozens more countries avoided censure by pledging to improve their tax rules, transparency and information sharing. The screening of some Caribbean nations, including the British Virgin Islands, was put on hold because of damage caused by hurricanes in the region. The EU said they could be included in an updated list. The EU has stepped up its efforts to combat tax avoidance in recent years after several high profile examples were made public. 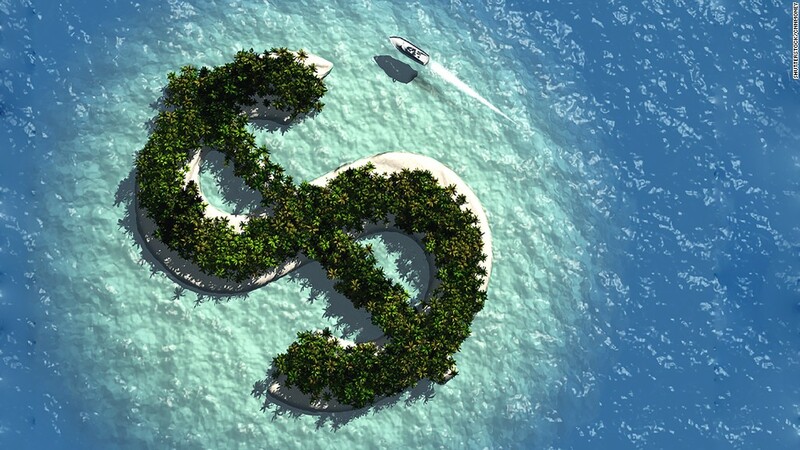 The most recent revelations came in the Paradise Papers, a set of leaked documents that showed how corporations, government leaders and prominent people use offshore accounts to avoid taxes or otherwise hide ownership of assets. The EU proposed new rules last year that would force multinational companies that operate in the bloc to reveal details about their operations in tax havens and summarize how much tax they pay in countries around the world. It has also taken legal action against major firms including Amazon (AMZN) that have been accused of owing back taxes. EU member states weren't considered for the list. The bloc has previously accused the Netherlands and Ireland of granting special tax treatment to Starbucks (SBUX) and Apple (AAPL), respectively. Oxfam lamented that some notorious tax havens -- the Cayman Islands, Bermuda and Jersey -- avoided the blacklist. Some did so by promising to clean up their act. "Although we recognize this is a step in the right direction, if EU leaders let too many tax havens off the hook we'll all lose out," said Oli Pearce of Oxfam. "Tax dodging means less money available for healthcare, education and the fight against poverty."